Web Hosting Starts at the Team LGT Membership Level. Quality Fast Monitored Servers great for Traffic Exchange Owners. Setup a Blog in Minutes using Softaculous Apps Installer from your own CPanel Administration Area! Enjoy Quality Web Hosting with all the Tools and Resources You need to Succeed Online. Purchase and Manage your Domains from your LGT back office! Our Gold members can create and manage unlimited list building campaigns. Each responder campaign you create will have a full subscriber reporting area. Our forms include the I'M Not a Robot" recaptcha to stop the Bots! The amount of leads you can Import depends on your membership level. No need to host your own domain as we provide promotional list building pages that you setup with your content. 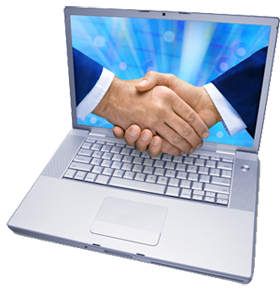 Place your autoresponder number into your page grab your link and promote. "Add the link to your GEO Rotator"
You can setup a social media page, video page, home business pages, promote our affiliate pages, and create banner pages. Once you do that we suggest you create a tracking link with your GEO tracker from AdTrackPro. You can track all your banners as well. Every month you'll be able to download TWO brand new exclusive list building packages inside. Starting at the Team LGT Membership. These are 100% original creations just for Automated List Profits members to use and profits from. All you need to do is insert your affiliate links or your own product links into the reports and follow up emails as recommended resources, upload everything and start sending traffic to your landing page. If you want to create PDF files from the private label ebooks, you can download free OpenOffice software. Use the Writer application it has an "Export as PDF" option in the "File" menu. In your LGT member area we provide over 50 List Building Reports you can customize and download with your LGT Affiliate ID number. Use these to build your list by enticing new subscribers or give them to your subscribers to keep them opening your emails. We also provide the templates for these reports. You will find over 45 Ecourses with templates, and follow-up messages. Use these to build targeted lists and then up-sell with targeted products. Remember most people are online looking for information. Our Information Gold Club offers that and more with Products like Monthly Software, Niche eBooks, Articles, Videos, IM Reports and more for you to use in your Online Marketing. This all comes with your LGT Gold Membership Package at No Extra Cost! Know where your traffic is coming form. With our GEO Tracking service you will receive the following data. Browser Visits, Country Visits, Visitor Data with Dates, Referral Data, and Unique Hit Data. Have a web page? Place our code on your pages and watch as the stats come rolling in! 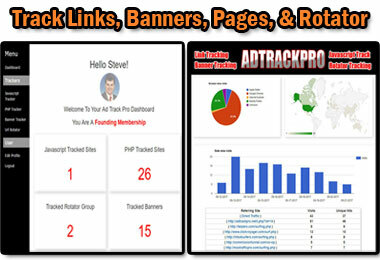 Track all your Banners, Create Rotator Groups, Track all your links in your Rotator. You can include a Top Bar above your pages that promotes your LGT Affiliate ID or choose No Top Bar. The following tools are available to all members. Splash Page Builder, In-House URL Rotator Service, "or your GEO Ad Tracking Rotator"
Easily create a splash page and insert a video, responder form or both. Some HTML knowledge will make it a lot easier but not needed for a basic page. Once you have created your page grab your link, go to your GEO Tracker and create a tracking URL. The software will appeal to anyone who is seriously interested in a particular niche – providing a resource that will help them more easily find videos and organize their viewing on a daily basis.